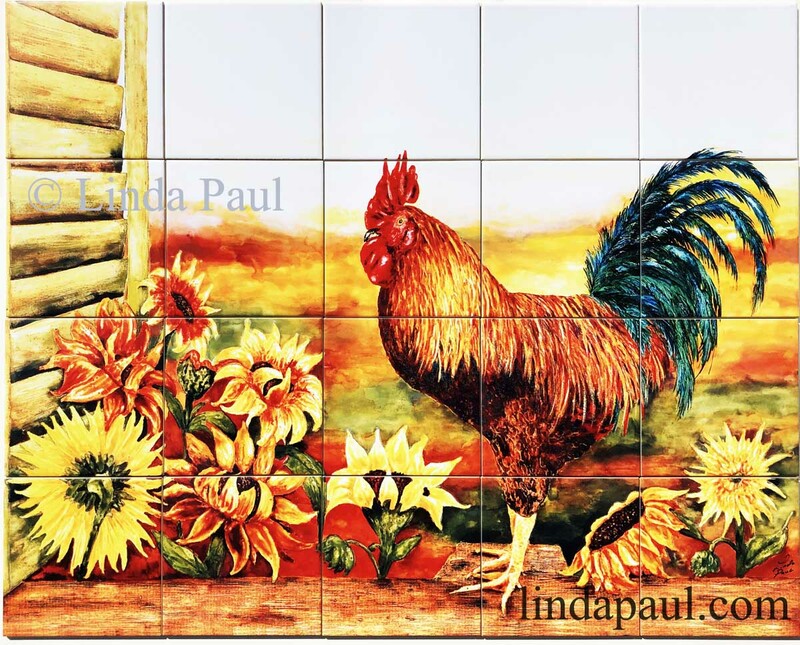 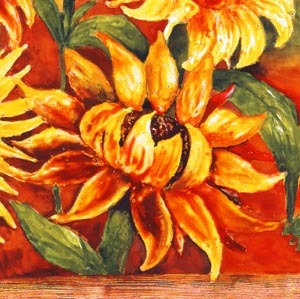 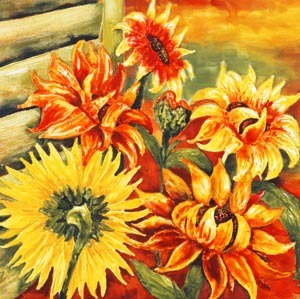 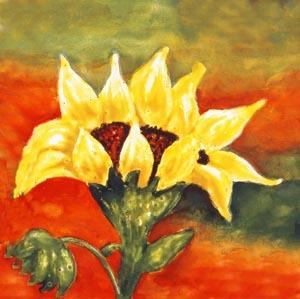 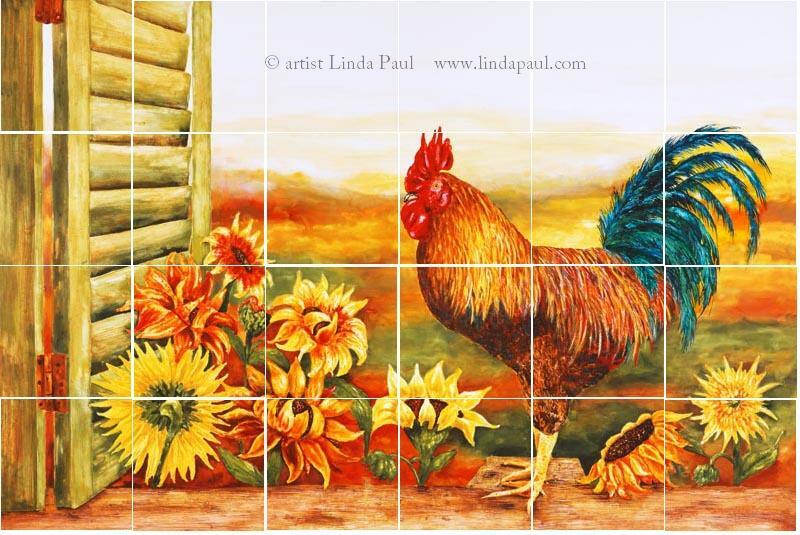 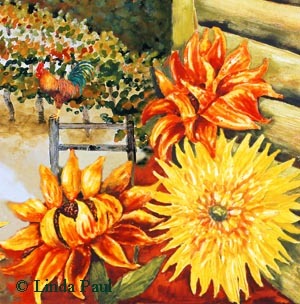 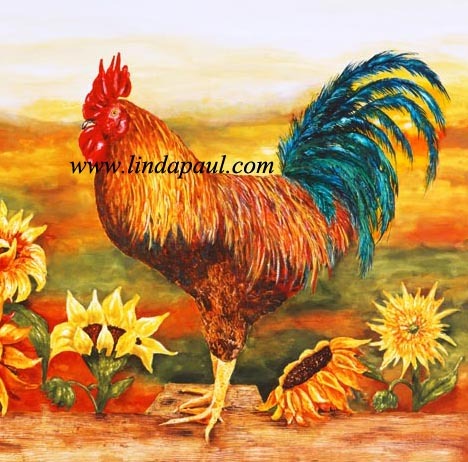 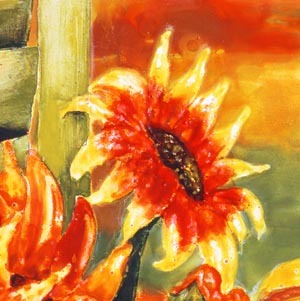 Rooster kitchen tile backsplash with sunflowers by Artist Linda Paul. 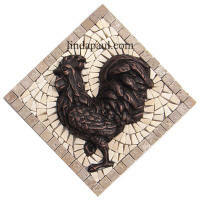 This rooster tile kitchen backsplash will make any kitchen a happy, sunny place. 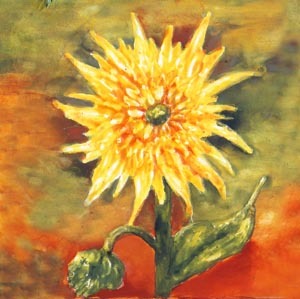 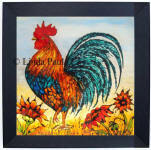 It is available in many sizes on 4.25" or 6" ceramic tiles. 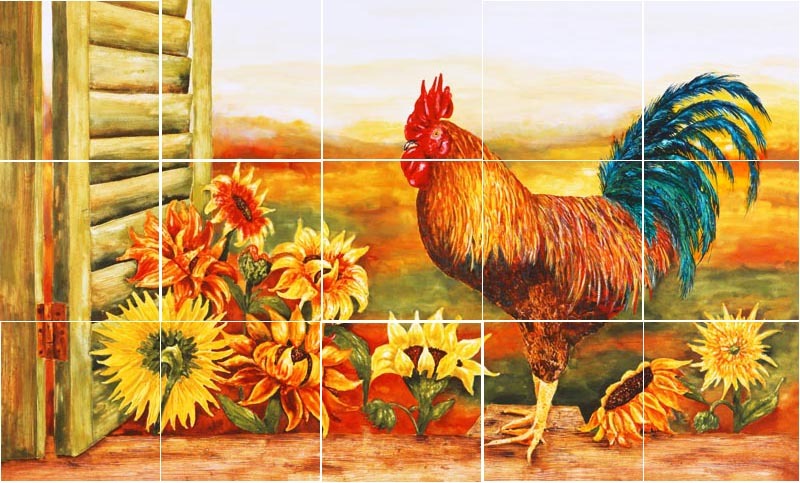 There are matching rooster and sunflower accent tiles too. 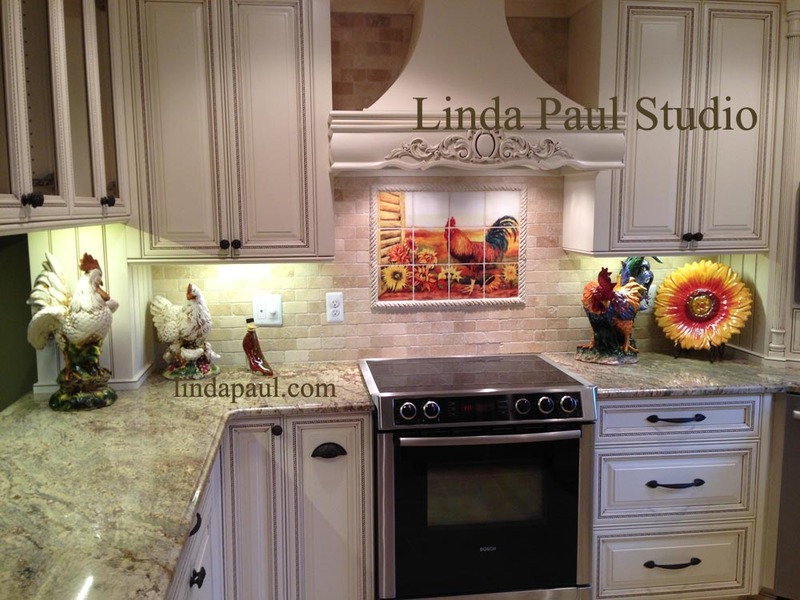 Its perfect for farmhouse kitchens and rustic country kitchen decor. 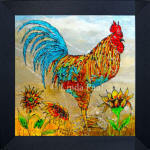 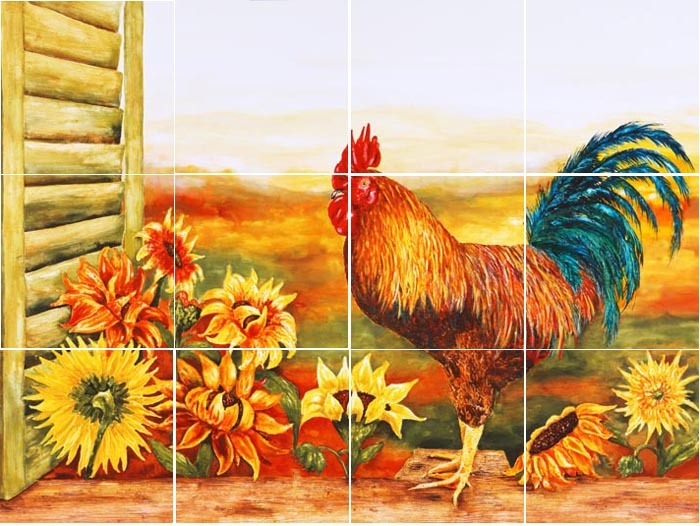 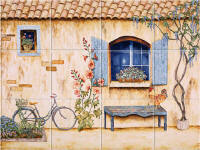 Here is a picture of the Rooster and Sunflower tile mural I recently purchased. This photo is the kitchen in our Florida home. As you can see I made a wood frame to match the cabinets and then installed the tiles with the thin set glue to a wood backing. 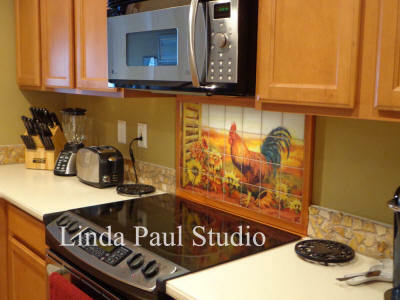 All of this was assembled in my shop at my New Jersey home to pretty exact measurements and then shipped UPS to the Florida home. 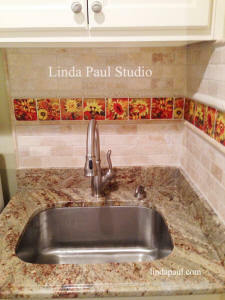 My wife and I are very pleased with the mural and the finished project, Thank you for your product and your service.